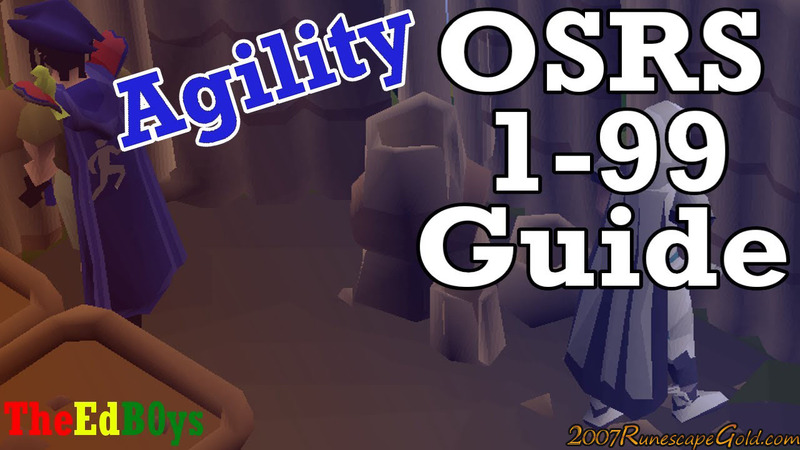 Hey, guys today we are sharing with you some quick ways that you can boost your agility and get it all the way up to level 99. Level 1-10: The easiest way (and we think only way) to level up here is by running the Gnome Course. Level 10-20: Again another quick and easy way to level up here as you can just keep doing the Draynor Roof Top Course. Level 20-25: The Al Kharid Course is a pretty simple course, but we would suggest you have a couple of staminas with you. Level 25-31: Here you can actually do a quest! The quest in question is The Grand Tree Quest. It will get you straight to level 31! Level 31-40: Varrock Course, which is another roof top course, is what you will want to be doing to quickly get up to level 40. Level 40-47: The course you will be doing here is the Canifis Course, but you will need to do the Priest In Peril Quest before you are allowed to do this. Level 47-60: The Wilderness Course can be used from level 47 and it is the fastest course you will have encountered so far. Just a note that in order to do the Wilderness Course from level 47, you will need a few Summer Pies to help you out. Level 60-90: Now you will be able to do the Seers Village Course. To be honest with you, by this point you should not have any trouble getting through this and it will not take you too long at all to get to level 90. Level 90-99: To get up to level 99, you will want to do the Ardougne Course which you can do from level 90 and it is one of the more fun rooftop courses in the whole game. So there you have it, the quickest and easiest way to get to level 99 agility. We hope this helps you out and be sure to look at our low prices on Old School Runescape Gold where you can get a ton of gold for a very low price.